Until the collapse of the USSR, dolphins had been intensively trained at the research oceanarium in Cossack Bay in for underwater operations. The Russian Defense Ministry is looking to purchase and train five dolphins to defuse mines and carry out underwater missions. The animals will be based at a research oceanarium in Crimea. 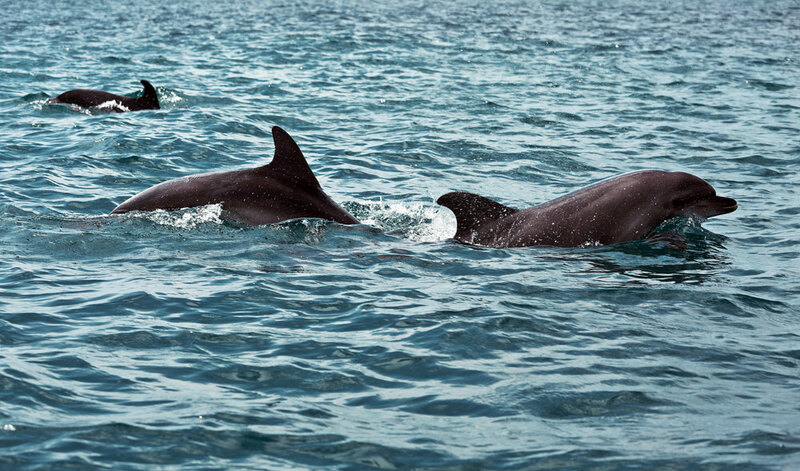 Russia is looking to purchase five bottlenose dolphins for military purposes in a contract worth 1.75 million rubles ($25,000), according to a notice posted by the Defense Ministry on the government's procurement website. According to the tender, the contractor must catch three male and two female dolphins between the ages of three and five by Aug. 1. The length of the dolphins’ bodies should not exceed 2.7 meters (the average size for this species). The caught animals will be quarantined for one month and then sent to the Sevastopol Research Oceanarium in Kozacha (Cossack) Bay, Crimea, which has been coaching sea animals for military purposes for more than half a century. The specific objectives for the use of dolphins were not disclosed. It is possible that Russia is resuming a large-scale training program for marine "saboteurs." An RBTH source in the Defense Ministry familiar with the situation said that the oceanarium is simultaneously being supplied with manpower, including the transfer of some troops from Moscow military units to Sevastopol. Did Russia use dolphins before? Until the collapse of the USSR, dolphins had been intensively trained at the research oceanarium in Cossack Bay in for underwater operations, including demining, mining, anti-saboteur missions and reconnaissance. However, with the disappearance of the Soviet Union in 1991, the oceanarium in Sevastopol came under the jurisdiction of Ukraine, and the number of marine animals (bottlenose dolphins, beluga whales and sea lions) dropped drastically. The remaining dolphins were used for dolphin therapy for children and adults with neurological disorders and diseases of the musculoskeletal system. In March 2014, the Russian media reported that the animals, which were commandeered by the Russian military following the takeover of Crimea, would serve the interests of the Russian Navy. At the same time, employees of the dolphinarium expressed hope that Russia would allocate money to finance this unique scientific institute, and developments in the field of research of abilities of dolphins would not be lost. According to the oceanarium workers, the Russian side confirmed at that time its intention to purchase new equipment for scientific work. Why does Russia need new dolphins? Given the extremely small number of bottlenose dolphins at the Sevastopol Research Institute (no more than 10 animals), scientists and the military needed "fresh blood." In addition, due to the lack of financing of the dolphinarium by Ukraine, the dolphins, which are now in the waters of Cossack Bay, were not trained to perform specific tasks. The animals are aging and need an adequate replacement to reduce the gap with the U.S., which is the only country in the world apart from Russia that is training marine animals for the needs of the armed forces. The American combat dolphin training center is located on the U.S. naval base in San Diego, California and has 85 dolphins and 50 sea lions. The animals are trained to perform various tasks, including clearing mines, and even operating in concert with drones.